The Tree | Relax, it's just Life! « It is a stellar day to be alive! It’s strange what may trigger a thought or a memory. 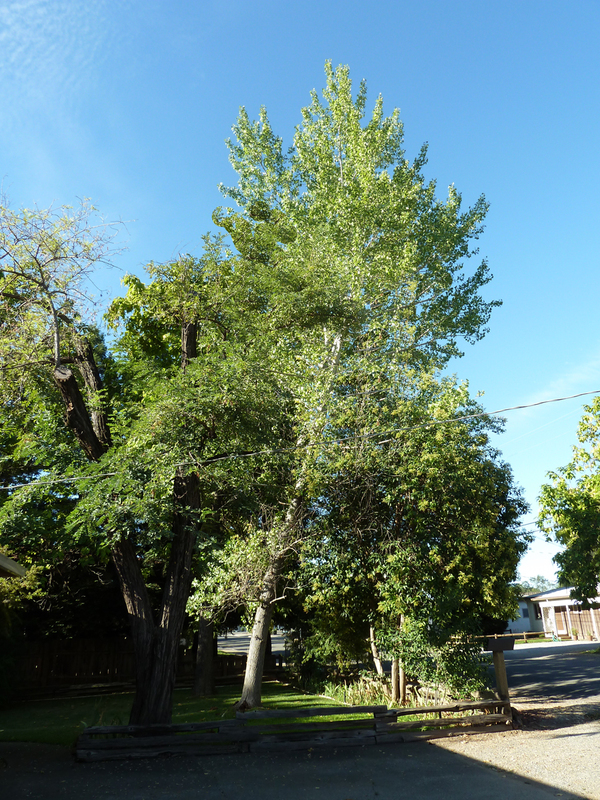 This morning I am saying good-bye to an old friend, a tree. During the heat of the summer this tree offered me shade and kept me cooler, every single day. As fall came, the leaves shimmered and shook the rain off of its leaves, while glistening in the occasional burst of sun. I remember the sound of the leaves blowing in the wind, again shimmering with each movement. I will miss this friend, but the time has come for it to be taken down. 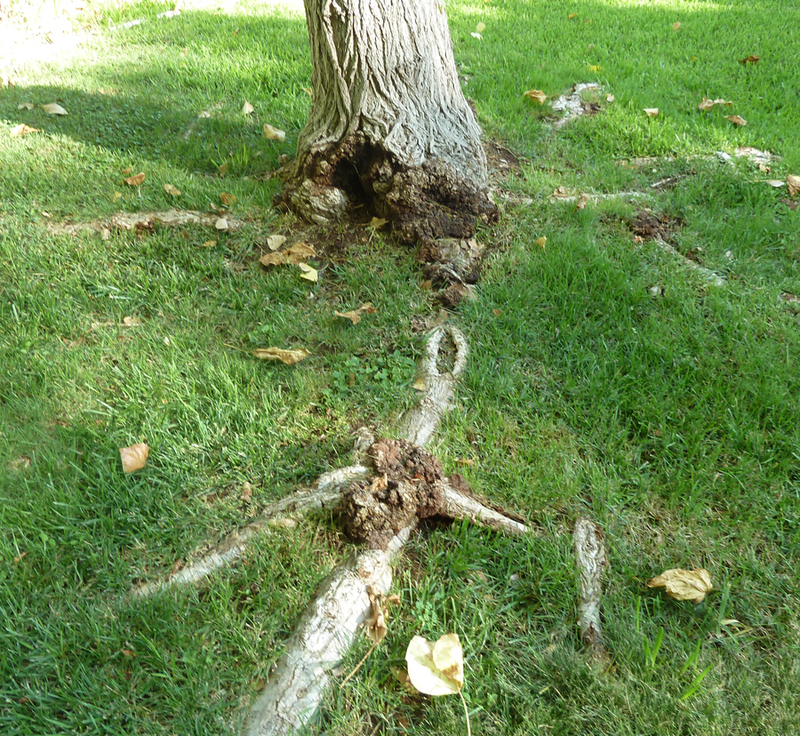 The roots are rotting and the tree leans more every day towards the heat of the sun in the afternoons. Soon, I am afraid, if it were not cut down, it could fall and perhaps hurt a passerby. for a time. I took photos, and will remember “the good times”. But it has to go now. I have other trees planted that will support my breath, and provide so much joy and cover me in times I need refuge. I know other trees will come to me, by the wind and seed, or because I know the importance of keeping greenery in our lives. I am grateful for these green beauties. After pondering all this, it came to me, that the life of this tree rather resembles my own. There is a time for all things, and some things may be beautiful and enhance my life. I treasure those things. But there is also a time for letting go – a time to say good-bye to the natural loss of loved ones, and also the loss of those whose presence in our lives have changed. What may have been good, even great, at one time, may be totally changed today. I have been forced, in my life, to “get rid of that which is harmful to me” and my loved ones – whether it be a person, a habit, or even a change in environment and friends. Though these changes can bring fear to the forefront, sometimes they MUST BE MADE….to refine the quality of your life, to protect your safety, to bring in the new. left those that ask for help and “keep the faith”. Our Father wants to be alive within us. Dash the fear. Ninety percent of what we dread actually never comes to fruition, so if you need to make a change, remember, THIS IS YOUR LIFE and no one expects you to forge through it in misery and fear, particularly if you are able to muster up your courage, and take a step forward. I did it MANY times, in MANY scenarios, and I am here to encourage you and love you and say, YOU CAN DO IT! Don’t forget the power of prayer. EVEN if you don’t know it’s power – what harm can come to you by trying it. Try it more than once – try it often. Going outside your own mind, even in just the thought of prayer, will begin to empower you. I really care. I had no idea this post would take this turn, but it must be for a reason. Create a wonderful LIFE for you and your loved ones. Snub your nose at fear. Mama always said, “If you can look at the worst scenario and figure out a way to deal with that, you can do anything.” I did. I believe you can. This entry was posted on August 8, 2012 at 3:51 pm and is filed under christianity, family, friends, LIFE, Love, personal, random, Sage opinions (in my opinion) on this and that, thoughts, Uncategorized. You can follow any responses to this entry through the RSS 2.0 feed. You can leave a response, or trackback from your own site. I just love it when my writing takes me somewhere I didn’t know I was going when I started! Lovely post! Thanks so much Peg. I agree sometimes it becomes an unexpected journey! Loved your post today!